Grace Meng said he sent her the knife image the day she last heard from him, four minutes after he sent a message saying, "Wait for my call." 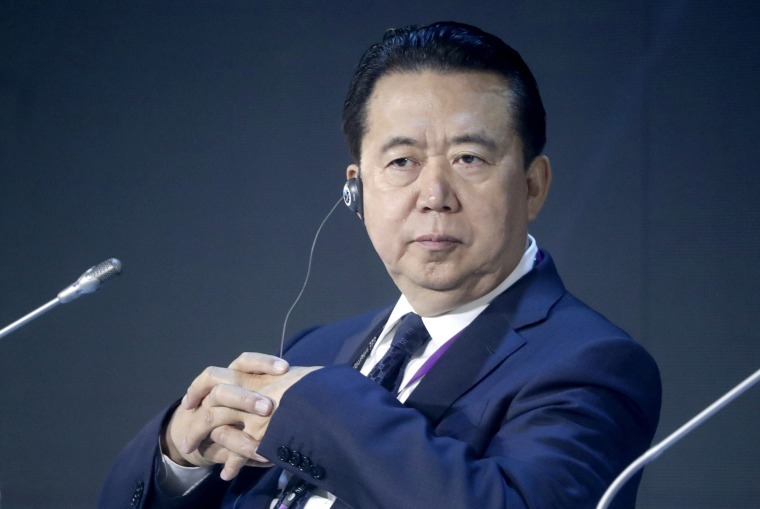 LYON, France — Grace Meng, the wife of the missing Interpol president, Meng Hongwei, said Sunday her husband sent her an image of a knife before he disappeared during a trip to China, a symbol she took as his way of telling her he was in danger. Grace Meng related her fears for her husband less than an hour before the disciplinary organ of China's ruling Communist Party said he was under investigation on suspicion of unspecified legal violations. Later on Sunday, Interpol announced that it had received Meng's resignation as president of Interpol effective immediately, but the reason for his departure from the organization remained unclear. Meng Hongwei is China's vice minister of public as well as president of the International Criminal Police Organization. The Lyon-based international police agency said Saturday it has used law enforcement channels to inquire with China about Meng's status.